Yellow Nails for the #31DC2017Weekly! - Polish Etc. Yellow Nails for the #31DC2017Weekly! It's time for more nail art! This week, for the weekly version of the 31 Day Nail Art Challenge, we are using yellow in our manicures. My manicure this week is very simple but they typically get more complicated as the weeks go on. 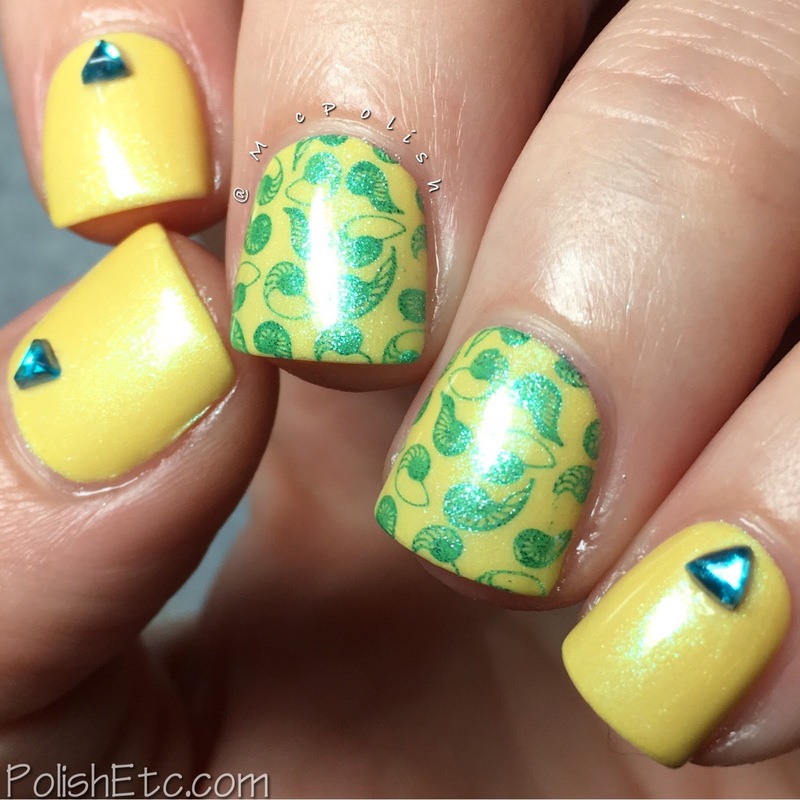 Just some simple stamping and gems on a pretty yellow base. I used another Zoya polish for this look. I swear I will be using more than just Zoya polishes for the challenge. I just love the brand so much and have so many of them that want to be worn! Maybe that could be an additional challenge to the challenge, use a Zoya in every look? Let me know what you think about that. I started with a base of Zoya's Daisy which is a pale sunny yellow with lots of shifty blue/teal shimmer. The formula was pretty streaky and needed three coats to even out completely. Then I stamped over my two middle fingers with a nautalus image from the MoYou London Sailor 04 plate using KleanColor Metallic Jungle. I added some little blue plastic gem triangles for extra fun. Are you enjoying the challenge this year? I hope you will join in. There is plenty of time to catch up if you are starting late. Next week we are doing green nails. 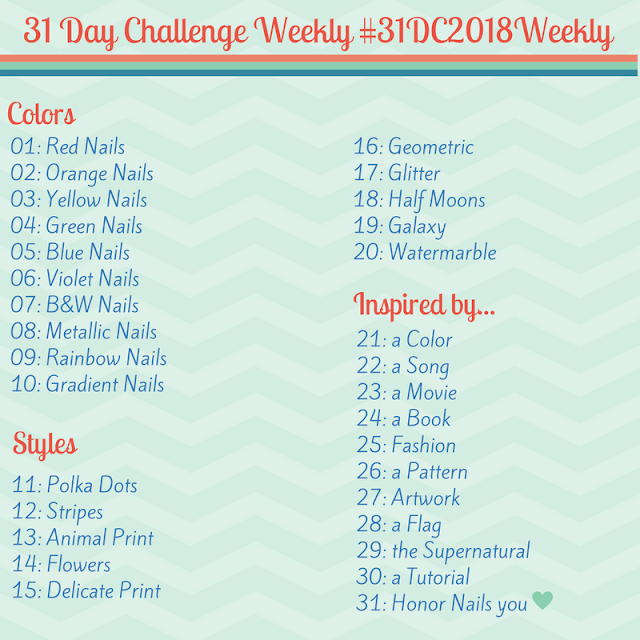 If you want to se what other ladies have been doing with the challenge you can scope out the tag #31DC2017Weekly on Instagram, Facebook and Twitter. Very nice! Funny you would speak of Zoya being the additional challenge; I've decided to impose a restriction on myself to use either Moyra or DRK Nails stamping plates during the challenge (if I stamp, that is). I own way too many and love them, but don't use them as often as I'd like. I hope you can still with the additional restriction! That green stamping looks so cool!